Today we face a threshold of fundamental collective transformation that bears a striking resemblance to what takes place on the individual level in initiatory rites of passage and in critical stages of the individuation process. In this evening lecture cultural historian and philosopher Richard Tarnas will help us explore the evolution of the modern self and world view, and the crucial role that depth psychology can play in illuminating our dramatic historical moment. We will consider Christianity’s special challenges in our era, with its shadow so conspicuous yet its deep moral and spiritual gift as important as ever. We will look at the important issues surrounding the multiplicity of religious faiths and conflicting truth claims in a strongly secular age. Together, we will explore the possibilities of this time for which Jung used the term kairos, the pivotal moment for a transformation of the fundamental symbols by which we live. Can we find a place of equilibrium, an eye in the storm, from which we can engage this time of intense polarization and rapid change more consciously, more wisely, and thus more skillfully? After a disagreement with Freud introduced a rift in their very close friendship, Jung suffered a time of psychic confrontation out of which the essence of his theory was born. This time of his life which Jung later termed 'mid-life crisis', follows a typical pattern of shamanic initiation rites practiced by indigenous communities around the world. Enacted in the lives of modern people the ritual unfolds outwardly in events that enter life unexpectedly through loss, illness, fascination, or dream/vision. Inwardly, however, appearance in one's conscious attitude of important but previously undeveloped potentials exhibit the same images and motifs reported by indigenous shamans. Intensification of psychic energy during such a process most likely forces an attention to the inner life. Engaging with the call of an initiation process can reduce suffering by providing meaning for life events that seem insurmountable. What kinds of events herald an initiation process, and what kinds of dreams or imaginations appear on the psychic stage? Through myth, fairy tale, and anecdotal stories of people facing typical life challenges, we will explore one's responsibility to the quest for wholeness necessary to successful initiation. In the tradition of C. G. Jung, we will explore the possibilities inherent in one's endeavor to accompany [the soul] on some of its strange symbolic wanderings. 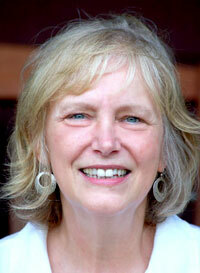 Kate Burns is a Jungian Analyst with a private practice in Houston, Texas. She received her diploma from the International School of Analytical Psychology in 2009. For seven years, Kate has offered seminars and workshops regularly at the C. G. Jung Center in Houston, focusing on the many facets of initiation. She has also served as professional expert speaker for a music salon focusing on the motif of transformation. Kate has devoted herself to the practice of yoga since 1999 and also teaches workshops exploring the symbolism and phenomenon of kundalini. "Try to be simple and always take the next step. You needn't see it in advance, but you can look back at it afterwards. ….if you want to go your individual way, it is the way you make for yourself, which is never prescribed, which you do not know in advance, which simply comes into being itself when you put one foot in front of another." 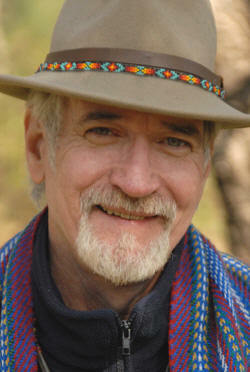 C. Michael Smith, D.Min, Ph.D. (aka Mikkal) is a Jungian scholar, clinical psychologist, and international shamanic teacher. 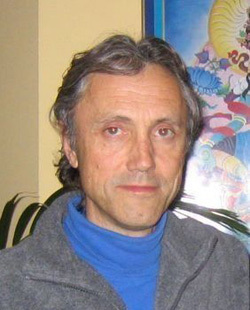 He is director of Crows Nest International, Centers for Shamanic Studies in USA, France and Belgium. He also teaches for the Cercle de Sagesse Ancestrale at Centre Trimurti in Cogolin, France, and has taught Jungian Psychology and Shamanism at the Institut Ressources [PNL], Bruxelles, Belgium, and at the Chicago Theological Seminary. His most widely known book is Jung and Shamanism in Dialogue: Retrieving Soul / Retrieving the Sacred [Trafford, 2007, 2nd edition] and he is author of the NAAP acclaimed Psychotherapy and the Sacred [Chicago: Center for the Scientific Study of Religion Press, 1995]. He attended the University of Chicago, the C. G. Jung Institute of Chicago, and the Chicago Theological Seminary, where he did a doctorate under Jungian analyst and theorist Robert L. Moore. He underwent a 14 year initiation and apprenticeship with the Cherokee medicine woman, Ai Gvhdi Way, and an 8 year initiation with the Iachak don Alverto Taxo, of Ecuador, Atis-Quechua tribe in the High Andes. Mikkal’s work focuses on bridging the heart-centered and earth honoring wisdom and ceremonies of shamanism with Jungian and other depth psychologies. Jung’s concept of synchronicity represents one of the most strenuous efforts of the twentieth century to construct a bridge across the chasm between spirit and matter, self and world, psyche and cosmos. In popular culture, the concept has been widely embraced. Synchronicities play no small role in the way many individuals make sense of their lives. In the face of the disenchanted modern world view, the search for a ground of purpose and meaning that transcends human subjectivity has become an urgent spiritual priority. For many today, synchronicities are directly relevant to this search, and are frequently experienced as provocative, albeit often elusive, signs that such deeper structures of meaning and purpose do exist. The concept has also had a unique impact in the intellectual world, having been cited by physicists as posing a major challenge to the philosophical founda­tions of modern science, and by religious scholars as holding deep implications­ for the contemporary psychology of religion. In this morning lecture Richard Tarnas will summarize the origin and history of the concept in Jung’s work, discuss the experiential dimension of synchronistic events, analyze the new understanding of causality these presuppose, and address their larger metaphysical and perhaps evolutionary implications. Journey Conferences seeks to provide genuine conversation and the sharing of varied experiences in the context of supportive community to aid individual persons and our world in moving toward wholeness. The conference program offerings have been welcomed in consideration of their potential value to this effort. Beyond that, the inclusion of any particular offering or event is not intended to imply any unqualified endorsement by Journey Conferences or its management. We encourage each participant to make their own evaluations. Carl Jung was a school boy when his young mind was tortured by the urge to think an unthinkable thought. He was an established professional man when he faced the despair of having no myth or rational system by which to live his life. In both instances, a healing symbol came by what he could only call grace. He was later to call the symbol maker, the transcendent function. One could not prove, he said, that it did not come into being at the instigation of God’s will. When rationality is impotent to reconcile opposites within us, when our best sacrifice leaves something wanting, grace transcends the gap. At a previous Journey Conference, we examined: "Longing and the Transcendent Function." Now, we will consider the transcendent function as the work of grace, and grace as the gift within the transcendent function. 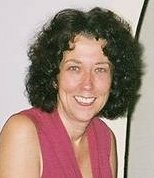 Donnamarie Flanagan, LCSW, is a Jungian Analyst, a member of the faculty of the C. G. Jung Institute of Chicago, she is past Director of Training. Her abiding interest is in the field of longing between the personal self and the Self from which it came. She has a private practice in Lafayette, Indiana. When Dr. Jung split from Dr. Freud, he was free to explore and amplify his own brand of psychology. We are indeed lucky that through his prolific writings one can discover a treasure trove of information pertaining to his explorations of and insights into the human psyche – on both a personal and transpersonal basis. If you are new to the field of Jungian Psychology, or simply wish to refresh your knowledge of its basic terms and constructs, then this workshop is for you. We will examine Jung’s model of the psyche in its personal as well as its collective aspects. Our discussion will cover such terms as archetypes, the shadow, animus and anima, persona, the collective unconscious, synchronicity, "The Self," the ego, and the "ego-Self axis." We will also seek to appreciate the importance of dreams. Dr. John King started his professional career as a Home-School Coordinator during the desegregation of the Greensboro City Schools. He next worked as the counselor within an alternative high school for “push-outs” and drop-outs, before becoming a therapist with Family Services of Greensboro. Subsequently, he maintained a full-time private practice for 13 years, and now he maintains a small private practice and works as the counselor for the Greensboro Day School Middle School, in Greensboro, NC. Since 1976, when he read Jung’s Memories, Dreams, Reflections, he has been a student of Jungian/ Depth Psychology and has focused, in particular, on Type Psychology, Archetypal Psychology, and dream analysis. Dr. King earned a M.Ed in Counseling and a PhD in Child Development and Family Relations. Jung’s quest to understand the process of individuation is reflected in his attraction to the art of mandala-symbolism and the discipline of yoga. During yoga practice, the mind and body transform into a laboratory of self-discovery, often stirring up chaos. 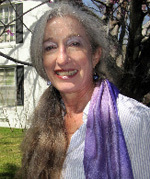 Caroline S. Garrett, (www.mandala-lotus.com), is a facilitator of the mandala process developed by Dr. Judith Cornell, aka. Rajita Sivananda, author of Mandalas: Luminous Symbols of Healing. As an artist, (www.carolinesgarrett.com), she has served as a professor of studio art in several colleges and universities. She creates mandalas, writes stories, illustrates, and practices yoga. Ms. Garrett teaches Vinyasa-flow yoga at the Anahata Yoga Center in Williamsburg,VA and is certified through Yoga Alliance. If there is any universal desire we share as a species it is how to find release from our suffering and to seek, as Joseph Campbell has said, “... the rapture of being alive”. Part of the great beauty of dreams is that they gift us with a non-judgmental and compassionate mirror with which to practice mindfulness of the thoughts that cause us to suffer. Dreams are never meant to be punishing. Through the lens of Mindful Dreaming you will find that even your most painful nightmares are callings to heal and grow. Dreams prompt us to be mindful of and release the empty, restless feelings created by distracted thoughts; and to embrace instead the value of inner stillness we find in the peace of solitude. Relaxing our grip on the thoughts of control that frustrate us, dreams open us to humility and to receiving guidance from the Source. Our dreams help us to release judgment and embrace compassion for our own suffering—not just that of others. Helping us see through the illusion of permanence, dreams teach us to release thoughts of attachment, grieve the losses that life imposes and allow new life energy to thrive. Most importantly, dreams teach us mindfulness of our impatience—our compulsive thoughts about creating or improving our future—so that we may live more consciously and fully awake in the present moment. In this workshop you'll learn that your nightly dreams contain perspectives that are gifts to be lived and directly experienced in waking life—not simply understood on an intellectual basis. Mindful Dreaming proceeds past “understanding” to the deeper knowing that is embodiment. You'll also discover that every dream contains a perspective that is new to our waking consciousness—one which leads us out of areas in which we are stuck in daily life—whether in relationships, work, creative endeavors or spiritual practice. No previous experience in dreamwork is necessary. Therapists will also find this model extremely helpful in expanding and deepening their work with clients. David Gordon, Ph.D. is a Jungian-oriented Clinical Psychologist who conducts dreamsharing groups, workshops and retreats in Norfolk, VA and in various regions of the country. He has been a frequent guest on radio and TV throughout the US and Canada and has written extensively on dreams including numerous magazine columns and a recently published book, Mindful Dreaming. David has co--hosted the public radio program DreamWorks in Norfolk VA and has also been heard on public radio affiliate WHYY in Philadelphia and KAZU in Monterey Bay, California. He is a past Membership Chair for the board of the International Association for the Study of Dreams (IASD). 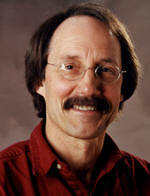 He has also served as Editorial and Script Consultant for Dreamtime TV –a PBS educational series on the nature and function of dreaming sponsored by WFYI in Indianapolis.In private practice for the past 30 years, David provides ongoing supervision and training in the area of individual and group dreamwork. Dani Vedros, LCSW is an Integrative Psychotherapist, life-coach, and workshop leader. Dani uses an Integrative Approach that blends traditional psychotherapy with alternative approaches and perennial techniques sourced from Eastern philosophies and indigenous practices. In her healing work, she uses a variety of methods depending on the needs and sensibilities of the person seeking healing including process oriented psychotherapy, mindfulness meditation, somatic work, dreamwork, ritual, guided imagery and movement. She has presented locally and nationally and has led many groups and workshops on the topics of dreams, spirituality and healing. This workshop will share and explore how the heart-centered path toward wholeness can be facilitated by counselors, whether they be psychotherapists, pastoral counselors, social workers or professional counselors. Based on the Jung-shamanism synthesis, the core questions help you rapidly locate the inner guidance system in the center of your body to attend to what the divine is up to in your own life right now. According to Jung, and many shamanic traditions around the world, the divine Spirit is always revealing itself, talking to us, not only in our sleeping dreams, but during the day as well. It is trying to wake us up make us more conscious and whole. The Dream Maker is a dimension of the Self, the sacred center of the psyche in which we are constantly receiving messages -- little potential steps forward. Our path is being sketched for us in little steps that can align us with the sacred and fill our lives with inner and outer purpose. The word ‘core’ refers to the heart, and the questions are forms of inward listening and inquiry. They provide a method for accessing the heart and learning how to remove whatever is in the way of the Dream Maker’s aims. Native Americans see animals in dreams, particularly those appearing in a numinous manner, as being messengers from a sacred dimension. Often they become one’s spirit animal or animals. In this workshop we will share animal dreams and explore ways of relating to the animals that further our individuation and move us toward wholeness. Videos will be shown illustrating how spirit animals can appear in positive, and negative, ways in dreams. Dennis Merritt, LCSW, has a doctorate from Berkeley in entomology (insect pathology), a masters from Sonoma State in humanistic psychology, and is a graduate of the C. G. Jung Institute, Zurich. 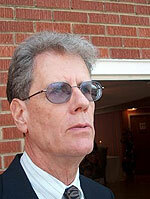 He is in private practice in Madison and Milwaukee, WI, as a Jungian analyst and ecopsychologist. Volume 1 of The Dairy Farmer's Guide to the Universe (Jung, Hermes and ecopsychology) will be published in December. See Spirit in the Land at www.ecojung.com. Call often arrives through an insurgent dream, an image that fascinates or disturbs one's waking thought. Amid an all too demanding life one encounters a 'white rabbit,' summoning departure from one's familiar neighborhood. All kinds of activities and electronics aid you in setting aside the soul's entreaty; and yet you suffer in conflict. This workshop will explore those dreams, visions and other imaginal experiences that seem to offer an invitation, even an insistence, to seek a new possibility, a new path. Participants are invited to bring an image that seems to suggest a departure, a whisper of change. We will expand and amplify images of Call through imaginal and expressive practice. Once a worldwide practice, working with Spirit of Place, stretches back tens of thousands of years. And today, we can still see vestiges of it through myths, legends, shrines, stone circles, and architecture of old. However, it is through the earth’s indigenous peoples and those of us who follow a shamanic path that the custom of Right Relationship with the land still exists today. 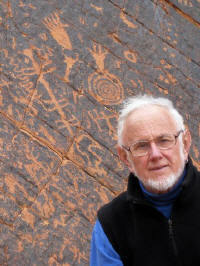 Jung also developed a profound connection with the land after spending time with indigenous peoples of Arizona and East Africa. He perceived that the land had a direct effect on our psyche, and that similar landscapes produced similar looking people, animals and fauna. Barbara-Lynn Freed is the Founder and Facilitator of The Center for Transformational Studies and an inter-faith minister with the Alliance of Divine Love. As a mystic, spiritual healer and teacher, she believes in a holistic approach to life, and has a love for helping people understand the mysteries and challenges in their lives. Her 30-year eclectic background includes a four-year apprenticeship in Native American spirituality and healing, and independent study in Women’s Mysteries, archeo-Astronomy, the Mystical Branches of the World’s Major Religions, plus a cross-cultural study of ancient and indigenous people’s perception of the land, time, and space. She has practiced as a professional astrologer since 1980, and has a 19-year old spiritual healing practice. After completing a year of spiritual retreat in 2009, she was called to develop a cross-cultural, shamanic, apprenticeship that she launched this year. 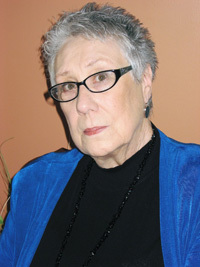 Dr. Jeanne M. Schul, Ph.D. This participatory workshop offers participants personal experience with a variety of approaches with which to embody the central image of a dream. This process can be applied in clinical settings, as well as for personal growth. The techniques involved include guided relaxation and visualization that lead participants into a movement-based active imagination. Dream telling, drawing, and journaling are also components of this process that can be an effective resource for therapists as well as for any individual on their journey toward wholeness. Dr. Jeanne M. Schul, Ph.D. defended her dissertation—Creating Dances from Dreams: Embodying the Unconscious through Choreography—and earned her Ph.D. in Depth Psychology from Pacifica Graduate Institute in November 2010. In her private practice at The Scott Center, Rome, GA, she works as a Registered Somatic Movement Therapist of The International Somatic Movement Education and Therapy Association. She is a Reiki Master and has been Certified by The Eastwest Somatics Institute as a Land to Water Yoga instructor. In addition, she leads on-going Dream Tending sessions. Her publications include numerous articles and poetry focusing on the integration of the soma, soul, and psyche. As a 2010 OPUS Research Award recipient, her research—The Feminine Divine: She Who Dances Us Into Being—culminated in a choreographed main stage dance performance for Berry College where she is the Dance Specialist and serves as Artistic Director of the Berry College Dance Troupe. In April 2011, at The American Psychological Association's Humanistic Psychology conference in Chicago , Dr. Schul presented a workshop —Embodying the Dream Image. C. Michael Smith, D.Min, Ph.D. This workshop will explore one's experiential flow through imagination, image, and word. How does one's relationship with self, other, and nature inform sacred expression? Evoked and inspired by music and drumming we will follow the 'guide' into initiation of a personal red book that serves both as map and companion to one's devotional practice. Participants will join in shamanic imagination ritual, then express the images encountered by engaging in painting and writing exercises. Each one will depart with the dawning of a personal red book. Carol Pearson’s landmark book The Hero Within: Six Archetypes We Live By, and her later book, Awakening the Heroes Within, introduced thousands of people to archetypes and the roles they play not only in movies and books but in our daily lives, also. In this workshop Adele Tyler, M.S. S., will lead you in taking the Pearson-Marr Archetype Indicator (a new assessment tool modeled after the Myers-Briggs Type Indicator) and examining your results to help you determine which archetypes are most active through you and how these archetypal patterns are unconsciously influencing your life. These discoveries can then help you replace unproductive patterns, awaken unrealized potential, and improve personal and workplace relationships. Adele Tyler, M.S.S., has a master’s degree in sociology, Myers-Briggs certification, and life coach certification through the Hudson Institute of Santa Barbara. She has studied Jungian psychology, formally and informally, since 1989, at Vanderbilt University, the Jung Seminar in Zurich, and various workshops and seminars. An active participant, board member, and workshop presenter at the former "Journey Into Wholeness" events, Adele has written articles on psychological type, introversion, and extraversion for the forthcoming Encyclopedia of Psychology and Religion. Co-owner of a music publishing and production company for over twenty-five years, she now works primarily as a Myers-Briggs consultant and life coach in Nashville, TN. Limit 15 Those who want to take this workshop should bring an extra $15.00 dollars for a discounted materials cost to pay at registration. (The value of these materials is likely over $20.00). The research of Felicitas Goodman shows that the body postures of the archetypal figures found in ancient and primitive art from all corners of the earth have specific effects on a person’s trance experience while sitting, laying or standing in the posture. Some postures are for going inward for healing, other postures are for spirit journeying into the lower world, the earthly realm or into the heavens. Some postures produce death-rebirth experiences while others are for shape shifting. Then there are postures for divination, for answering questions or predicting future events. I have brought together my 35 years of work with analytic hypnotherapy and guided imagery with the power of these shamanic postures to provide healing and personal growth. The three stages of analytical hypnotherapy are to first identify a personal problem, second, to go into the unconscious to uncover the source of the problem and third, to provide suggestions for the death of the dysfunctional ego-state and the rebirth of the healthier/functional ego-state. These three stages can be easily attained by using the archetypal shamanic posture, first using a divination posture to identify the problem, then a spirit journey lower world posture for accessing the unconscious, and ending with a death/rebirth posture to incorporate the change. These postures provide a powerful avenue to change without the extensive input of the therapist, but instead by the posture used and directed by the unconscious in the metaphoric language such as dreams employ, or that used in hypnosis and guided imagery. This process will be demonstrated. Those who attend the Pre-conference event will be able to register for and attend other Pre-conference events also. They will have the opportunity to experience more deeply and report on the first two postures. In the workshop, participants will learn of their experiences and enjoy their own experience of the third. Nicholas Brink is a licensed clinical psychologist and a Diplomate through the American Board of Professional Psychology. He received his PhD in psychology in 1970 from U.C.L.A. 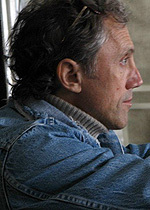 A past president of the American Association for the Study of Imagery and on the Board of the International Association for the Study of Dreams, Nick has maintained a private practice in psychology for the last 35 years. and presented 50 workshops on hypnosis, guided imagery, dream-work and shamanic journeying. Among his publications are more than 60 journal articles and the 2002 book Grendel and His Mother: Healing the Traumas of Childhood Through Dreams, Imagery and Hypnosis, as well as the soon to be published book The Power of Ecstatic Trance. Dr. Brink is the current book review editor for the journal Imagination, Cognition and Personality. The importance of dreamwork as an integrative oncology practice becomes increasingly apparent as cancer support communities open in more and more hospitals. C.G. Jung often spoke of the relationship between body and psyche. In CW, Vol.10, for example, Jung says ” . . . A person is ill, but the illness is nature’s attempt to heal the person . . .“ Both before diagnosis and during treatment, many cancer patients experience an increase in dreams. Many are nightmares. The dreams become a powerful ally in the journey through cancer. Bringing dreamwork into the arena of integrative medicine is the goal of Healing Power of Dreams, a project of the International Association for the Study of Dreams (IASD). www.healingpowerofdreams.com. In the last six years, project facilitators have offered workshops and dream groups to over 1000 cancer survivors in a dozen states. “The body is the mere visibility of the soul; the soul is the psychological experience of the body.” (C.G. Jung) Our hope is to facilitate a practice that both enhances recovery in the body and enlarges life of the soul. In this workshop, participants will experience dream reentry through guided imagery, the project's primary approach for nightmare transformation. In a meditative experience, embedded in a ritual of release and renewal, we will express our own dreams in clay and then offer them to the elements for transformation. Each participant also will receive an outline of research studies that support the use of dreamwork as integrative medicine. Tallulah Lyons, M.Ed., is cofounder with Wendy Pannier of Healing Power of Dreams, a project of the International Association for the Study of Dreams (IASD). On the staff of cancer wellness centers in two Atlanta hospitals, she also serves on the faculty of the Haden Summer Dream Conference. Her book Dream Prayers: Dreamwork as a Spiritual Path is soon to be followed by Dream Imagery: Medicine for the Healing Journey, now nearing publication. This workshop explores the experience of God by focusing on the mundus imaginalis, the realm of the imagination, as a means of contacting soul. We will discuss and view widely different experiences and images of the sacred from different cultures; discuss French scholar Henri Corbin’s work on imagination and the spiritual world; and participate in active imagination meditations to explore our own individual experiences of the sacred. Corbin, scholar of the Persian and Arabian mystics, described the mundus imaginalis as the spiritual realm intermediate between the sensory and intellectual worlds. It is the realm of spiritual reality and the means through which one has spiritual, soulful experiences. Through contemplative imaginal techniques and practices one accesses, feels and images one’s inner spiritual being. Jung pioneered the use of active imagination as a technique for contacting soul in a private 17-year exploration that we now know through his images and journal entries. His work was posthumously edited and published in 2010 as the Red Book. His image of god is a dark, cataclysmic, suffering one -- a dark mirror of the Christian god. Why? Jung’s contact with his soul was a descent into his own personal, ancestral, and cultural rejections of aspects of God; thence his images and experiences expressed what he and his culture ignored, suppressed, or repressed. Through our work and discussion we’ll try to understand his experience, and how the image of god is experienced so differently by individuals and cultures world-wide. 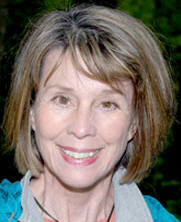 Laurel McCabe, Ph.D. is Professor of Psychology and Coordinator of the Depth Psychology Master’s Program at Sonoma State University in northern California. She teaches Jungian psychology and the psychology of religion, and writes and speaks on the links between depth psychological concepts and techniques and spiritual practices and techniques. The late, great eco-theologian, Thomas Berry, along with other Earth scholars—native teachers, deep ecologists, ecopsychologists, and eco-spiritual beings, like Jung — has brought us into deep awareness that we are part of a greater whole. These voices for Earth have made us deeply sensitive to the sacredness of all of life and to the importance of seeing ourselves as integral members of our earth community. Thomas Berry lived his life sharing his message about the urgency of reestablishing respectful relationships with all beings so that we can move into a just and sustainable way of being on the planet. This is particularly crucial at this time of "the great turning." Jung says that humans have lost their instinctual nature and that this disconnection with nature is not a psychological problem but rather a deep spiritual one. It is essential at this time that we cultivate our sense of the sacred and begin to see our interconnectedness within all of nature. Spiritual guidance counselors, retreat leaders, and workshop facilitators have unique opportunities to facilitate this connection in others and to help them cultivate spiritual qualities that invite wonder, awe, and presence. This experiential workshop focuses on how intentional engagement with nature can help us to cultivate our sense of wholeness and experience the divinity within all beings. 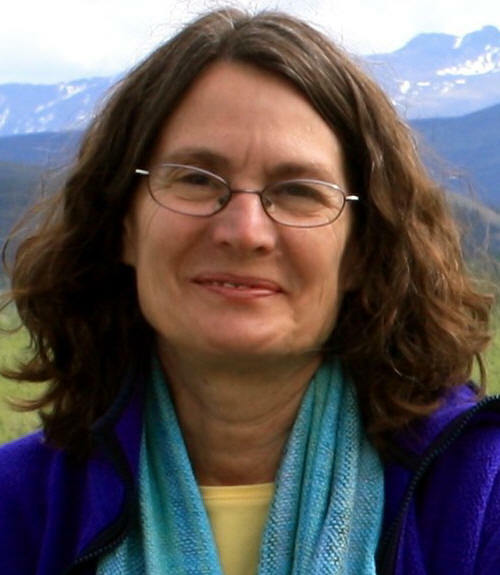 Inspired by the work of Thomas Berry, her indigenous teachers, nature mystics, and the stories of her research participants, Nancy will provide experiences that can lead retreatants, directees, and mentees into greater wholeness and communion with all living beings. This workshop is intended for anyone interested in spiritual connection with the natural world. Nancy Mangano Rowe, Ph.D. is an Associate Professor at the Institute of Transpersonal Psychology, an ordained Minister of Walking Prayer though the Center for Sacred Studies, a NY licensed Creative Arts Therapist and Mental Health Therapist. She is trained in Spiritual Direction, Authentic Movement, and Psychosynthesis. 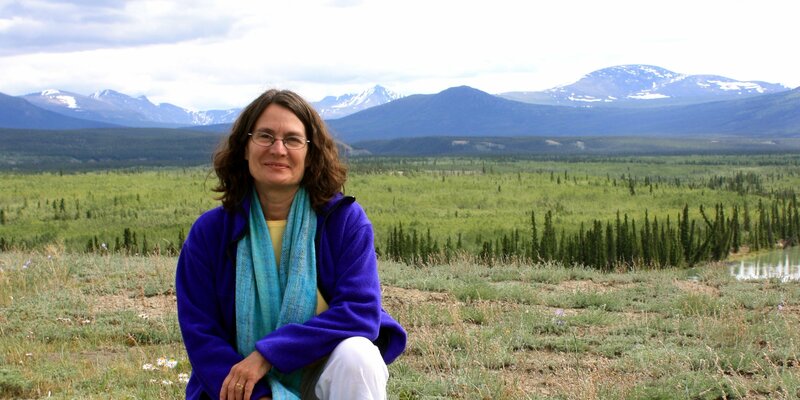 Currently, she is researching, teaching, and writing about spiritual connection with the land. Her passion is in helping others to reconnect to Earth, to their imaginations, and to their creative, intuitive selves. Nancy has led spiritual retreats, seminars, workshops, and pilgrimages across the United States and in Greece. Her writing includes articles and book chapters on creative expression, spiritual connection to the natural world, transformative education, and intuition. "Let us be silent, that we may hear the whispers of the gods." Feeling welcome touches on our need for belonging, acceptance, safety, acknowledgement, and respect. When we are unwelcome, we can feel as strangers, exiled, isolated, and other. Hospitality can be seen as a calling -- an invitation to listen and respond to that which wants to be welcomed. It is a way of making room for relationship -- where the familiar and the stranger can enter, be seen, and possibly become friend. In this mediating space, the guest and the host can meet, affect, inform, transform and heal one another. However, as Henri Nouwen has said, if you are filled with yourself, your own ideas and opinions, then there is no room to listen to and invite in the other for dialogue, which is fundamental to relationship. As we gain insight into the interior nature of hospitality and practice entering and being in that space which is both within and between us, it fosters a respectful listening to the many voices of one'sself and others. In this workshop, we will consider how depth psychological, spiritual, phenomenological, and mythological traditions have imagined this interior place of hospitality and what they have to teach us about entering it ourselves. Then we will experiment with a way of entering silence to see how it might open in us the hospitality of listening. 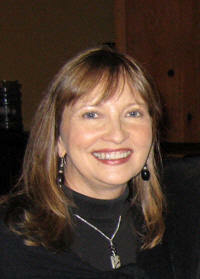 Robin Gates (MA in Psychology) is currently pursuing a Ph.D. in Depth Psychology at Pacifica Graduate Institute in CA. As a college instructor at City College in San Francisco, she teaches writing, facilitates workshops in meditation techniques and also trains faculty in Contemplative Pedagogy. Her most recent article, "The Learning Environment: A Container for Transformation" can be found in the recent issue of the Journal of Curriculum and Pedagogy (7/2). The Dances of Universal Peace were the vision of a Sufi master,Samuel Lewis. They use simple songs and movements to touch the spiritual essence within. These movements and songs make up over 400 Dances and include themes of peace (both inner and outer), healing (the Earth, individuals, and the global family), and the celebration of life's great mysteries. Dancers express harmony and community while celebrating the underlying unity of all the spiritual traditions of the Earth." No dance experience is necessary; all movements are taught. Julie Purcell, retired United Methodist minister, psychotherapist and spiritual director, and ordained Sufi Cherag in the Sufi Ruhaniat International, Julie has followed her mystical heart through the years. In the late 1990's she discovered and fell in love with the Dances of Universal Peace. She became a certified dance leader in 2004 and has had two dance circles in the Triangle for the last 6 years where she also mentors other dance leaders. She considers this a spiritual practice which never fails to nourish the heart and soul. Dan began writing songs in his early teens, inspired by his first musical hero, Bob Dylan. In high school, he wrote songs for a popular band in southwest Mississippi, and in college he was an exclusive songwriter with a company in Atlanta. His love of songs and songwriting brought him to Nashville in the late 70's. Within a short time, he was working with Eddie Rabbitt, who had a hit on their co-write, "Hearts On Fire" (1978). In the early 80's, Dan co-wrote "Bobbie Sue", which became one of The Oak Ridge Boys' biggest hits. Many hits followed, covering a wide variety of artists, ranging from R&B to Euro-pop. Most of his success, however, was with Nashville based acts like The Nitty Gritty Dirt Band, B.J. Thomas, Kenny Rogers and Keith Whitley. In the mid 90's, he put aside co-writing and resumed writing solo, as he had done at the beginning of his career. Dan's song "The Light In Your Eyes" was an early hit for LeAnn Rimes. Soul diva, Candi Staton, recorded Dan's song "When Will I?" for her critically acclaimed album His Hands (2006). "When Will I?" was a single in Europe and is featured in the recent Tyler Perry film The Family That Preys. In 2002, Dan began recording his own albums, working with some of Nashville's best producers and musicians. To date, Dan has released 4 CDs on his own label, Intuit. Tayria Ward received a doctorate in depth psychology from Pacifica Graduate Institute. Formerly an ordained minister in an interfaith community, she went on to teach at graduate and undergraduate schools in the Los Angeles area. The Rev. Kathy Campbell and Rev. Ed Koffenberger. Born into a musical family Dr. Art Hunkins began composing at an early age He studied violin, piano and later cello at Oberlin College, composition and cello in Paris. He mastered in composition at Ohio University and earned his DMA at the University of Michigan. Dr. Hunkins was founder and director of the UNC-Greensboro Electronic Music Studios until his retirement in 1997. Many of his recent compositions are for real-time, live performance Csound, a software synthesis language, and are available his website: www.arthunkins.com. Rev. Ed Koffenberger has served in ministry positions range from chaplaincy in psychiatric hospitals and schools, to a small mountain church just down the holler in eastern Kentucky. He is the pastor of Westport Road Christian Church, in Louisville, KY; Board member of Eastern Area Community Ministries, Board member of Looking for Lilith, LLC – an all-female theatre company, and co-administrator of the website, Depth Psychology Alliance. He received his B.A. from Hampden-Sydney College, M.Div. from Louisville Presbyterian Theological Seminary along with a second M.A. in Marriage and Family Therapy. He recently finished his third M.A. in Depth Psychology at Pacifica Graduate Institute where he is working on his candidacy for a Ph.D.
Rev. Kathy Campbell has been engaged in ministry in higher education for more than 25 years serving on six campuses. Currently, she is the Pastor of Crossnore Presbyterian Church, in Crossnore NC. Kathy received her B.A. from Warren Wilson College and her M.Div from Duke Divinity School. An important focus in her ministry has been the Global Community Center, which brings to Lees-McRae College campus global spiritual leaders who have committed their lives to peace and justice--including the Tibetan Buddhist Monks and Arun Gandhi. The Global Community Center also sponsors global partnership experiences in Mexico, Guatemala, India, New Zealand, and Ireland. Help share this wonderful conference with others! © Copyright 2007-2013 Journey Conferences. All rights reserved.